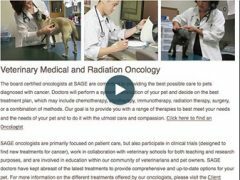 Get facts about mast cell cancer treatment and diagnosis for Tripawd dogs and cats with veterinary oncologist Dr. Ann Hohenhaus from the Animal Medical Center in New York City. 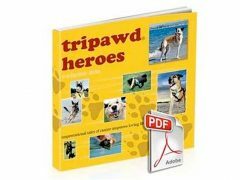 Tripawd Talk Radio interview about canine osteosarcoma and gait study of three-legged amputee dogs with Dr. Deanna Worley of Colorado State University Flint Animal Cancer Center. Learn how to recognize pain and ways to treat it in three-legged dogs and cats with veterinary pain management expert Dr. Mike Petty of Arbor Pointe Animal Hospital in Michigan. 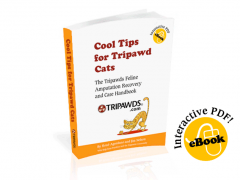 Learn health, fitness and exercise tips for amputee dogs and cats with Dr. Dicki L. Kennedy of Animal Rehab & Conditioning Center in Greenville, South Carolina.